I’m not a big sweets person. Most nights I’d take a steak and a glass of wine over dessert. 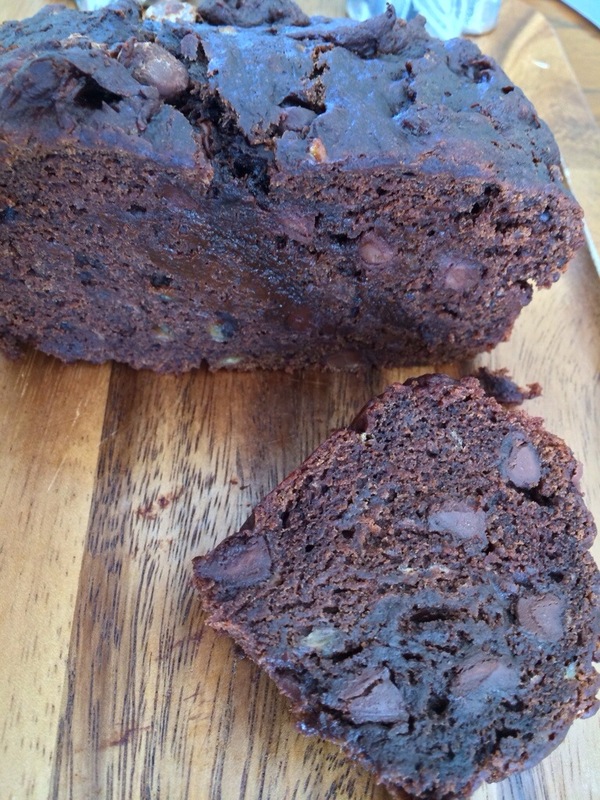 But after reading about this double chocolate banana bread on Smitten Kitchen, I couldn’t get it out of my head. I wanted to make it right away, but the recipe wasn’t for a gluten-free version and I was feeling too lazy to try and figure out substitutions. I am not a baker. Baking is a chemical process where precision with measurements and timing matter—or you get the flat, crisp cookie versus the thick, chewy one. Baking also makes me nervous because I can’t taste along the way to get an idea of how the dessert is going to turn out, I just have to trust it’s going to be good enough to give a guest. When I cook, I can sample and tweak the dish over and over before serving it. When I first learned I had celiac disease and needed to be gluten-free, I found baking even more complicated because there was no easy substitution for wheat flour. Often I needed to use a mix of powders like bean flour, rice flour and potato starch, plus add xantham gum to recipes to make the gluten-free flour “sticky” enough to hold the cake together. It was such a pain to buy and store all the ingredients, not to mention explaining to the hubby why he might get the toots from the bean flour in his dessert. I tried to let it go, but that banana bread haunted me for days. Finally, I gave in. I was making dinner to celebrate a friend’s new job and thought this would be a great excuse try baking one more time. 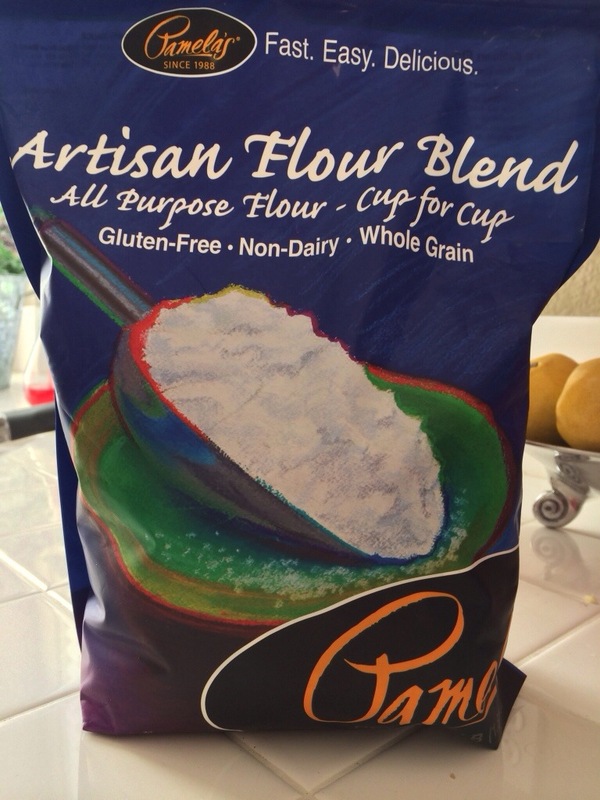 I read that Thomas Keller came out with a gluten-free flour that was a cup-for-cup replacement for all-purpose flour. Unfortunately, I didn’t have time to get to the shopping mall where they sell it at William Sonoma. So I went to my local Sprouts, hoping more than one company has figured it out so that it could be an easy substitution. I used the recipe from Smitten Kitchen substituting one cup of Pamela’s Artisan Flour Blend for the all-purpose flour. That’s all. Her recipe is fool proof. I know this because I forgot to add the brown sugar and didn’t notice until I had already mixed everything else together. What’s a girl to do? Just add it at the end and hope for the best. The original recipe says to bake 55-60 minutes, but mine was done at 45 minutes when a toothpick came out clean. It is moist and not too sweet. And way too easy to whip up a batch whenever the craving hits.